Device Atlas' comprehensive report for the fourth quarter of 2015 reveals that based on the amount of web traffic, the Apple iPhone 5 combined with the Apple iPhone 5s were the most used iPhone models in the U.S. from October through the end of last year. That was followed by the Apple iPhone 6 and Apple iPhone 6 Plus. That was the case throughout much of the world. While the Apple iPhone 6s and Apple iPhone 6s Plus combination was next in the U.S., in most European countries the Apple iPhone 4 and Apple iPhone 4s were used to generate more web traffic than the most current iPhone models. In the states and overseas, the Samsung Galaxy S5 was the most widely used of Samsung's Android powered handsets, topping the Samsung Galaxy S6 and Samsung Galaxy S6 edge in the amount of web traffic it was responsible for. Based on web traffic, iOS use gained in the U.S. during the first three quarters of last year, before having a flat fourth quarter. Android web traffic on the other hand, declined from January through September. For the period starting in October and running through December, Android web traffic in the U.S. was flat. From the beginning of the year through the end of 2015, the percentage of mobile web generated by iOS rose 4.86% over the previous year. Android users were responsible for 4.68% less web traffic during the 12 months from 2014 to 2015. According to Device Atlas, Apple accounted for 57.35% of U.S. smartphone sales in the fourth quarter. Samsung was next with 10.36% of sales. Verizon (8.27%) and AT&T (4.31%) were third and fourth, respectively. With 3.71% of Q4 U.S. smartphone sales, LG was fifth. Mobile safari was the top browser in the states during the fourth quarter, carrying 55.98% of mobile web traffic in the U.S. during the period. Chrome was next, carrying 38.31% of the mobile web load in Q4. The Android Browser was responsible for 3.86% of mobile web traffic during the three months, while IE Mobile delivered 1.01% of mobile internet traffic. That left Firefox (.47%) and UC Browser (.06%) at the bottom. Check out a number of interesting graphs containing oodles of information by clicking on the slideshow below. Mobile safari carries the majority of mobile web traffic in the U.S. Same applies in the U.S. The data remains the same in the U.S.Same applies in the U.S.
lol. Ease up on the young lad. Remember... he was only able to change his wallpaper and put pretty icons in folders a couple of iterations ago. Have some pity. sabihin mo sa kanila girl. may mga isang pulutong ng mga bobo fanboys sa magkabilang panig. ginagawa nila hayaan silang gumaralgal ang iyong hawla. Gusto ko kung paano mo sinabi sa kanila off. magandang trabaho pretty lady. That's because most of the world speaks English! What language is that? Techie. Now the joke is on you and everybody who liked your stupid comment. He's an Apple user and an Android user. You're person who says the comics joke isn't funny because the comic is lying about the circumstance under which the joke is told. I think the jokes is still chuckle worthy even if somewhat mean and not 100% accurate. It's worlds more clever than most copy/paste apple bashing. I also believe the person you are kindly coming to the defense of is a lady. But don't worry that doesn't mean the jokes on you. and destroy your battery soon.. I am half agree and disagree on this one, hence phone batteries do degrade whether or not u use a fast charger so meh..
Good News for Apple. They will have the biggest upgrade from 5S and 6 and 6 Plus than any phone in history. The Samsung S7 will be an after thought after 30 days and will pick up more momentum once they go on sale for Black Friday and Xmas this year. No wonder they wanna do a new 4 incher. The 5S is the best iPhone Apple ever made. What they should have done for the iPhone 6 was make that exact design bigger. There and then for the 6S, curve the corners, like this recent iPhone 7 render we have been seeing lately. The present 6 models are nice, but boring. It's a flat voting rounded corners flat piece of metal with a cutout for the display. It is not an in ovation concept. The iPhone 4 and 5 models, look like they actually tried to think about the looks. Especially the 5S which is their only good looking model with the 4s behind it. This is likely what the 5SE is about, but it's too small. The ads should be 4.7" with a rounded model being the 6 model. 4" is just to small. Why not 4.3 or 4.5? Apple's ip5s is the very best. Even me I was an owner, even though I deeply, purely dislike Apple as a company, but thier products are good. Awaiting for the iP5se. Really looking forward to buying it. I've never said Apple doesn't make good products. It's just for the money they have made and will make, they should be much better. They got a heads tart on everyone and 2 years later they were basically history. Same as they had a 5 year heads tart with a consumer grade computer and 5 years later Microsoft propelled IBM ahead of them as if Apple wasn't even an issue. The iPhone should be better. Such features like fast wireless charging, and more should have been on their phone first? Why doesn't the iPhone have a heart rate sensor? It vould, it should. If Apple was really trying to get into that game an actually compete. They aren't really trying to compete when you offer half-assed alternatives to what others are doing. To the op. Do you realize how many iPhone 5/5S models are out there? give me an iphone 5se that looks like the 5s, with bigger battery and internals of 6s, and it'll be my first iphone. the 5s had killer looks. I found i6/i6s is perfect size, i6+/i6s+ too big. I still have 2 4inches iphone and everytime I go back to it my eyes hurt from read small text. It shows that it just isn't worth upgrading every 1-2 years, because one can pretty much do the same thing with the new phone and the old one. I agree not much worth upgrading. 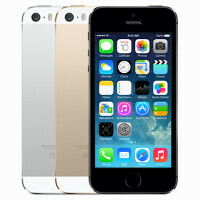 Iphone 5s is still reliable right size, easy to carry and not bulky to carry. If you aren't into much high tech geek stuff you will be fine with this phone.